Are you having problems figuring out your wish list? 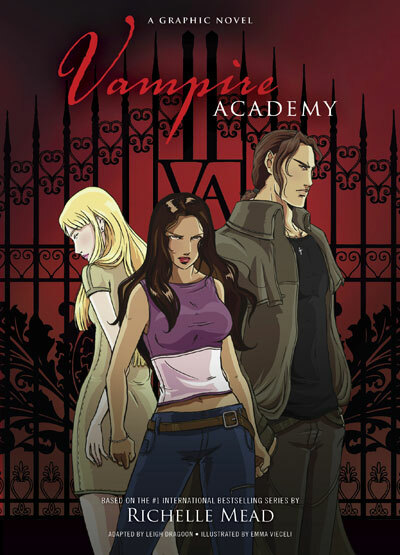 There are a lot of wonderful things out there if you want to buy something Vampire Academy related, and a couple of sites have put together lists for you. Pre-order now to give the gift of a reserved copy. 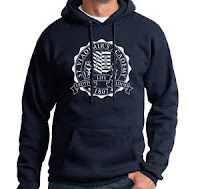 This quality sweatshirt boasts the St. Vlad's school seal in classic navy and white. What promises will you keep this year? 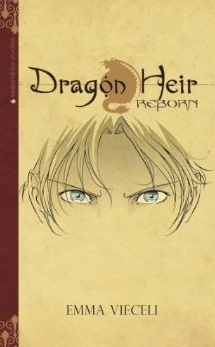 Emma Vieceli, who is doing the illustrations for the Vampire Academy Graphic Novel, recently came out with a redesigned collection of her own graphic novel, Dragon Heir, which was mentioned as a gift suggestion on a list by amosborne (according to Emma). To check out the other items on that list (including Dreadnought by Cherie Priest), click here. Lily from Shadowkissed.com has written a wonderful Christmas Gift Guide full of recommendations for books, clothing and jewelry for all Vampire Academy fans. Be sure to take a look at that as well. Unfortunately I think it's only available for US customers.